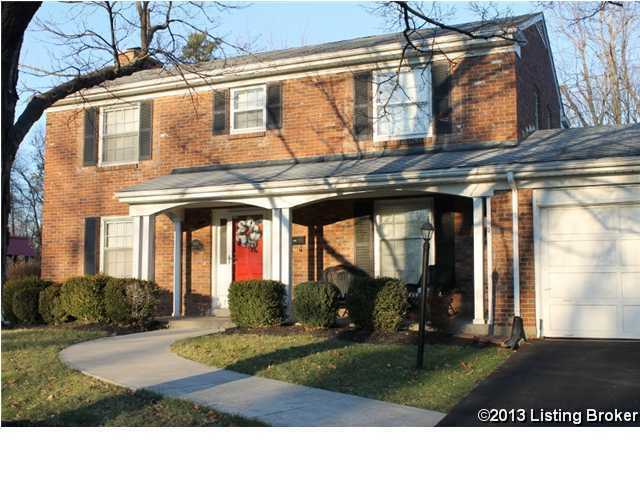 Wonderful brick 4 bedroom, 2.5 bath family home in Graymoor Devondale! Nice entry Foyer welcomes your guests inside from covered porch. Large Living Room with fireplace has direct access to eat-in Kitchen. Hardwood floors throughout home. Formal Dining Room. Basement recently renovated with gorgeous stained concrete floor. Family Room plus office or play room in basement gives fantastic added space to this home. Upstairs, 4 spacious bedrooms and 2 full baths. Dual system HVAC recently installed for efficiency and comfort. Large fully fenced back yard with patio is great for entertaining and play. Attached 2 car garage. Westport shopping center, Kroger, Target and quick access to I-264 makes this home so convenient! Direction: Westport Road to Girard Drive. Left Graymoor, right Community Way. Graymoor is a subdivision within the city of Louisville, Kentucky. There are currently 0 Homes for Sale within Graymoor, with asking prices ranging from $0 to $0. The average list price per square foot of the available inventory in Graymoor is $0, which is the Louisville average of $156. Recent comparable homes have been selling for 97.86% of their asking price. Waterfront homes represent of the available Graymoor inventory. The population of Louisville, according to the 2010 Census, is 597,337. The total number of households in the zip code of Graymoor is 9,898, with an average household size for of 2.09 people. The total number of renter households within the zip code of 40222 is 4,037, which means that 59.21% of households in this zipcode are owner occupant households. 1405 Community Way, Louisville KY 40222 is a Home, with 4 bedrooms which is recently sold, it has 2,532 sqft, 76X160X90X163 sized lot, and 2 Car Garage,Attached,Driveway parking. A comparable Other, has bedrooms and 0 baths, it was built in and is located at and for sale by its owner at $ 0. This home is located in the city of , in zip code , this County Other, it is in the Subdivision, and HURSTBOURNE are nearby neighborhoods.